The movie "Ray" was distributed by Universal Studios because an executive used to hitchhike to Hollywood to see Ray in concert. 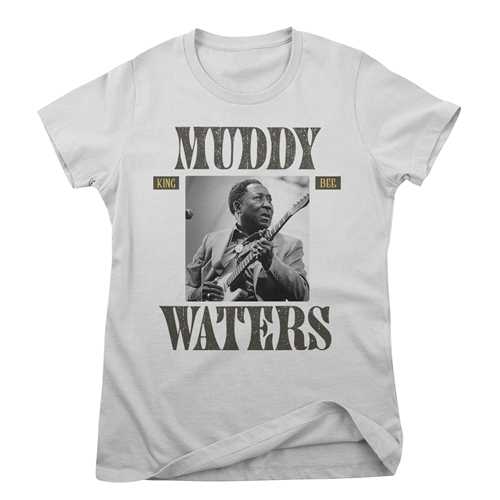 Official Muddy Waters T Shirt. Every sale directly benefits Muddy's estate. This Muddy Waters King Bee shirt was modeled after Muddy's fourteenth and final album, King Bee. Born from both a 1980 recording session and outtakes from Muddy's 1997 hit album Hard Again, King Bee was released in 1980 -- only three years before the blues musician's death. 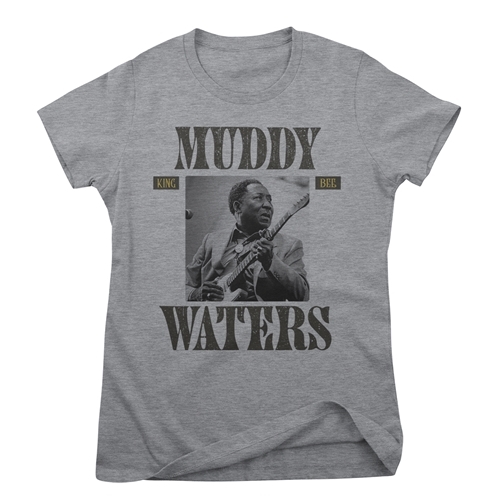 This is a comfortable 4.5 ounce 100% preshrunk combed and ringspun cotton anvil ladies' Muddy Waters T Shirt that will definitely get your mojo workin. Sizes run very true. Heather Grey is 90/10, any other heather colors are 60/40.